On Nov. 17, 26-year-old American missionary John Allen Chau was killed by the Sentinelese, a native tribe of the North Sentinel Island in the Andaman Sea. North Sentinel is one of the most sealed-off parts of Indian and the government has prohibited any interactions with the people on the island. The Indian Navy patrols the water surrounding the island to ensure that no outsiders can get in, but Chau had proven that that ring of security could easily be breached. With the Bible in his hand and God in his heart, Chau set off to the island of North Sentinel on the night of Nov. 14. He had previously paid a group of fishermen to help take him to the island. After leaving the fishermen, he spent two days in his kayak, paddling to reach shore. Upon his arrival to the island, he was shot by bows and arrows. The Indian authorities reported that “Mr. Chau had been shot with bows and arrows by tribesmen when he got on shore and that his body was still on the island” according to the New York Times. Retrieving Chau’s body from the island is has been a struggle. Police officials can’t even go near the island without the fear of being shot. They had to stay at least several hundred yards offshore. “The Sentinelese are watchful. They were patrolling the beach,” Dependra Pathak, the area’s police chief, said, “Had we approached, they would have attacked” according to an article from the New York Times. Survival International has also urged the Indian authorities to abandon any efforts to recover Chau’s body. 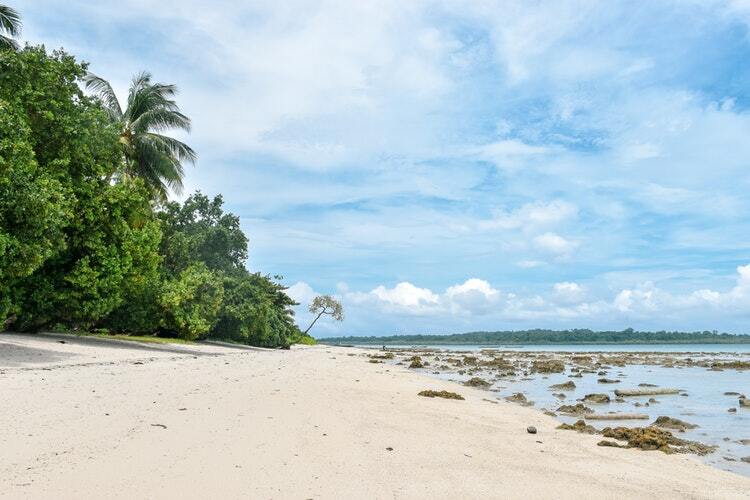 Any attempt to retrieve Chau’s body from the island may bring not only harm to the Indian officials, but also to the Sentinelese tribe. It is especially dangerous for the Sentinelese, for the tribe has not been exposed to the outside world in thousands of years and their immune system is in no match to modern microbes and viruses. The Sentinelese may be completely wiped out if any outside diseases are introduced upon their land. They have been in isolation for about 60,000 years and thus they are very vulnerable to modern day diseases. Experts say that coming into contact with outsiders will put their health at a great risk. Survival International’s Director Stephen Corry suggest that in order to avoid the risk of deadly flu, measles or other outside diseases, the remoted tribespeople should be left alone and so should Chau’s body. There isn’t really any benefit in retrieving Chau’s body and the effects of any attempt may cause more harm than good so why should the Indian authorities continue to retrieve Chau’s body? The effort should be stopped and the government should increase the security around the island so that such tragedy doesn’t happen again. I don’t really know what to say about this incident. I don’t know if the man should be called a worthy servant of God or just stupid. Converting people that the whole world has left alone sounds stupid to me. Great article Hlee, I found it very interesting. Well written article! This is such a sad event to happen and they are unable to retrieve the body which makes it even sadder. I hope everyone has learned from this, that to respect the words of the natives so something tragic like this doesn’t happen again. This was a great article. it sad that the guy died but he went their and his letter is like he knew he would die when he said don’t get my body. It is really sad to hear about what happened to Chau. He was very young but he knew the risks of going and was willing to go and try and spread God’s word. This article gave great information on what had happened. Keep the good work! This is a very well written article with great supporting information. However, as a whole the article sounds more like a news piece than an opinion piece. Good article. This is something that my opinion is iffy about. He knew what he was getting himself into. That’s their land and that’s what they do. Great job. I completely agree with you that his body should be left on the island. He went to the island knowing he would most likely be killed. Trying to retrieve his body would only cause more harm than good. I honestly dont fully know what was in the mind of Chau when he went on the island. Great job on your article! This is a very strange and unusual topic that is also very unique. It seems a little silly to try to go to the island even though you know you will die. Also, if he had any illnesses when he went to the island, he could have spread them to the people living there. This is a very tragic event and I pray for him. Justice, it is precisely because they are left alone by the world that Chau thought it necessary to go there, as for his death, I believe he was fully prepared for that. As a christian, he had no need to fear death, and his death puts a bible in the hands of those people. I would assume he had found a way to translate it, or he would have never of gone.